Before you choose the Mercedes-Benz lease that suits your Rye commute, be sure to explore the SUV lease specials available at Mercedes-Benz of Greenwich! Whether your heart is set on a GLC, GLE, or another luxury SUV, there are plenty of options in our inventory. 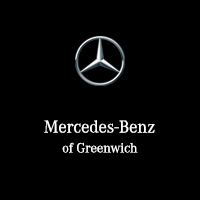 Explore our Mercedes-Benz lease specials and finance offers online before visiting Mercedes-Benz of Greenwich for a test drive. Which SUV Should I Choose? Mercedes-Benz GLC: When you choose the GLC, you can take advantage of AMG® performance options and plenty of interior space. Explore Mercedes-Benz GLC price points before choosing your favorite configuration. Mercedes-Benz GLE: This luxury SUV is perfect for families but doesn’t compromise on performance or fun interior features. Better yet, the GLE towing capacity is up to 7,200 pounds. Mercedes-Benz GLA: This model provides all your favorite Mercedes-Benz features, including optional 4MATIC® all-wheel drive. Mercedes-Benz GLS: You can choose from 4MATIC® and AMG® options, as well as access up to 577 hp and 561 lb-ft of torque. When you’re ready to explore our Mercedes-Benz SUV lease and finance options in person, visit us near Stamford! Our friendly staff will help you find the Mercedes-Benz model that best suits your budget and style.